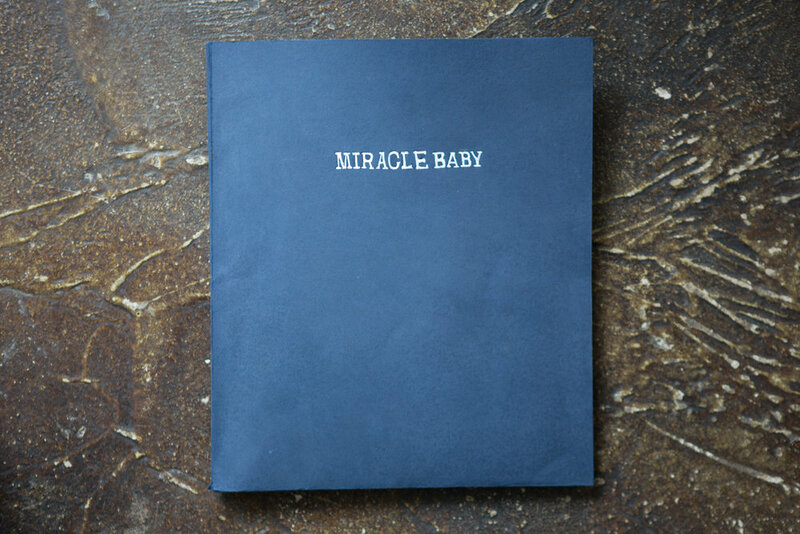 Tintype maker Frank Hamrick presents this hand made book, My face tastes like salt. Frank's books are handmade, even the cover paper, and some of the sales go towards supporting his niece and nephew through college. 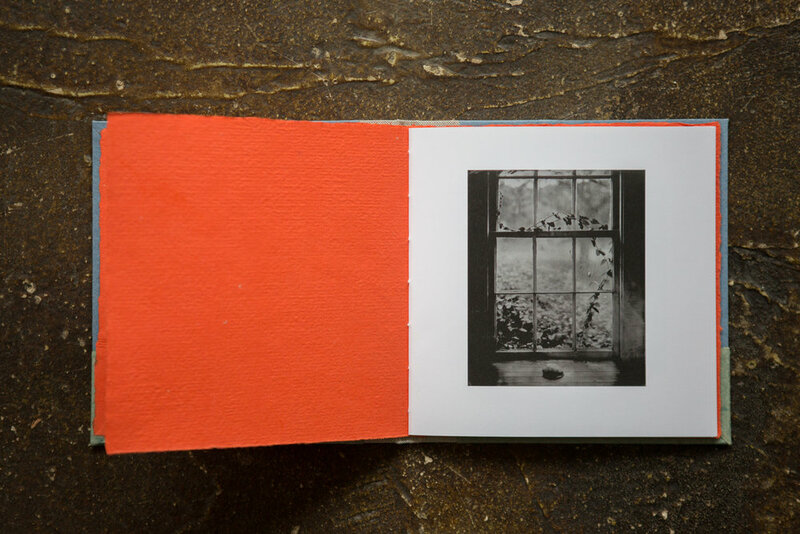 Twenty page, limited edition, handmade, artist's book of 18 tintype photographs. 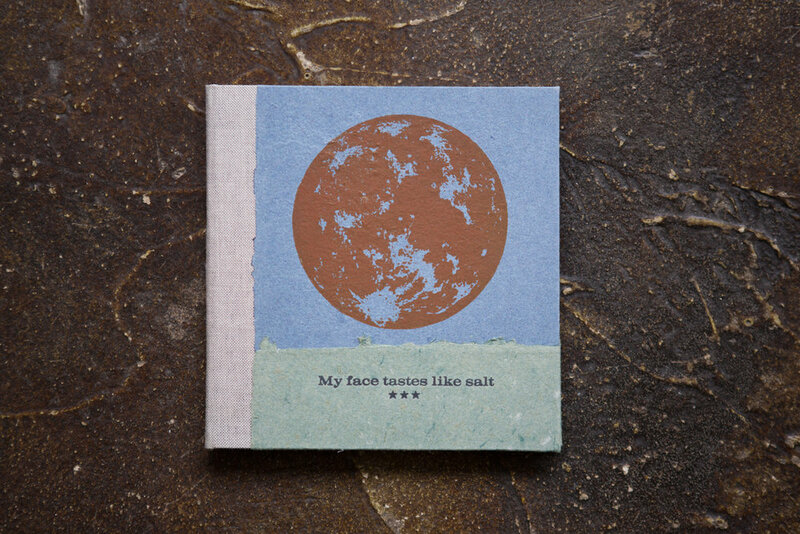 This first edition hardcover of My face tastes like salt is limited to 41 copies. These 18 portraits, still lives and landscapes, were originally created as 8x10” and 8x8” tintypes in Georgia, Louisiana and Tennessee, focus on looking at and moving through the natural world around us. 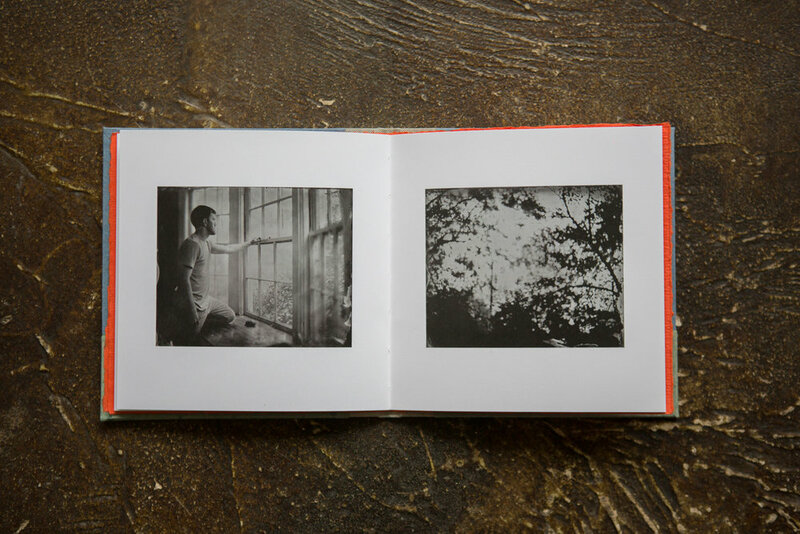 The photographs are Indigo printed on 80 lb. 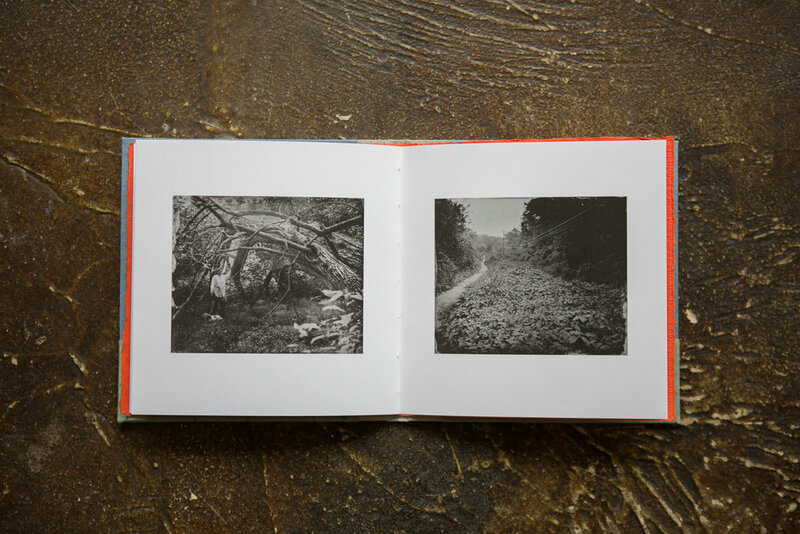 uncoated, Mohawk paper. The 2017 solar eclipse demonstrated the power the moon has over our day to day lives and inspired the book’s relief printed landscape cover art, which is wrapped in handmade cotton rag paper with the title letterpress printed on the front along with his Old Fan Press logo on the back. The edition number is stamped into the end sheet of each book.